Start it up! 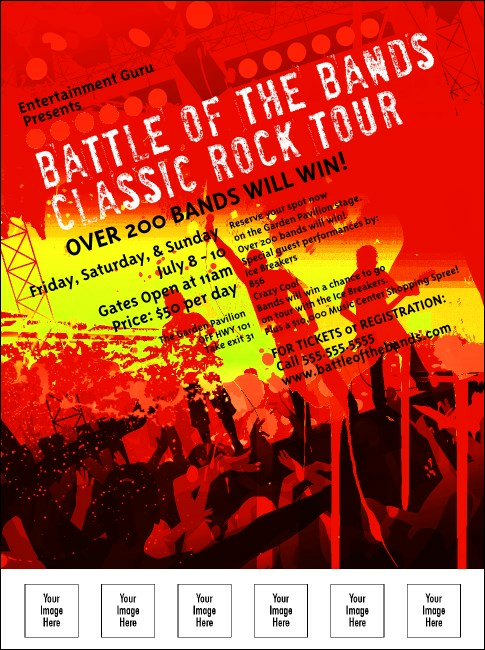 The Rock Concert Red Flyer never stops publicizing the show with a bright, fiery background and the image of the band taking the stage. Nothing but hot licks to hype the main event! Add six of your own images to the template and choose the matching Event Kit for the whole package. Don't cry! TicketPrinting.com has everything your box office needs to show your fans some love.